Why has the European Security of Supply Strategy been the central tool to address for already two years the interests of Ukraine, but not the majority of EU member states? 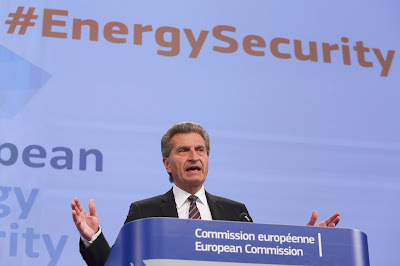 It has now been two years since the previous European Commission adopted in May 2014 the European Security of Supply Strategy. As the time from the adoption of the Strategy passes there are growing doubts regarding the validity of its objectives and methods to achieve them, but especially its compliance with the interests of the population and undertakings in the EU. The implementation of the European Security of Supply Strategy certainly is costly for the EU countries. The question is how big impact these expenditures would have on many challenges in the EU. As it is recognized in the Strategy, its necessity was due to external factors, the main of which was "the ongoing Ukraine crisis". Then, two years ago, violent events in Ukraine reminded Europe about another Ukrainian crisis a decade ago, when in January 2006 gas supplies through Ukrainian transit have been threatened for many countries. It is not difficult to note that, like ten years ago, continuing unreliability of Ukrainian gas transit to the EU from Russia keeps putting pressure on the security of supplies and related costs. In other words, the Ukrainian gas bridge between the EU and Russia continues to be unsafe, it oscillates and may completely collapse. The question then arises: what purpose does this Strategy serve if the European Commission uses it as a handy tool for keeping alive the Ukrainian transit? Anyone can well understand that the Ukrainian transit is entirely unreliable in the long term thereby increasing the need to look for alternatives. Brussels, however, clings to the Ukrainian gas transport system (GTS) taking a leading role in opposing implementation of new projects for the delivery of Russian gas to Europe. The motivation is clear - it has to enable Kiev in economic distress to earn on the gas transit to the EU and to avoid even greater financial support of the current Ukrainian government. However, despite that additional pillar provided by the EU, the situation in Kiev is not improving. "Kiev is losing the fight against corruption", Foreign Policy magazine wrote in February. Such an assessment has completely scared all private investors away. It is unlikely that any of them may be interested in the aging Ukraine’s GTS. It is obvious to European energy business that the Ukrainian transit is actually fraying. It is not a coincidence that major European energy companies E.ON, Shell, BASF/Wintershall, OMV, ENGIE would like to build the Nord Stream 2 project rather than repair decrepit Ukraine's GTS because their shareholders also don't want to lose their money. They are well aware that there are big problems in Ukraine as a transit country that should be solved not by means of additional supporting political and financial "pillars", but by creating bypassing routes. It would be difficult furthermore to defy the logic of Russia's action because, as confirmed by the WTO principles, diversification is important not only for consumers but also for the suppliers. After the collapse of the Soviet Union, the EU imported about 90% of Russian gas via Ukraine. Having turned into a transit monopoly, Ukraine began to demand lower prices and higher transit tariffs. The scenario of Ukrainian gas crisis in 2006 showed that in such a case a monopoly position of Ukraine in providing transit services had a crucial role. However, evidently there is no any EU strategy with the potential to maintain the transit revenues for Kiev, which has been decreasing: Ukraine earned some 4 bln USD for transit services in 2013, some 3 bln USD in 2014, and some 2 bln USD for 2015 in transit fees. At the same time, it has to be recognized that Brussels policy implanting the security of supply strategy does not result exclusively in strengthening the unity in Europe, but often even on the contrary is preparing the ground for development of a conflict of interests between the EU Member States. It is no coincidence that some Eastern European countries such as Poland and Slovakia are the staunchest supporters of the Strategy actively opposing new gas routes bypassing Ukraine. This is due to individual economic interests of these countries. For example, Slovakia's state company Eustream had revenues of 630 mln Euros in 2014, down from 697 mln Euros in 2013, and most of this came from Russia’s Gazprom as transit fees for gas delivered to the EU through Ukrainian territory. Meanwhile, the delivery cost is the question that no doubt attracting the attention of all gas consumers in Europe. As we know, in any market, the delivery cost of goods is included into the price that ultimately the end user has to pay. In this case, we are talking about millions of gas consumers in Germany, Italy, Austria and other countries. Therefore, it is not surprising that the gas companies in these countries expressed a particular interest in bypass route of the Nord Stream 2 project, which will give an opportunity to reduce delivery costs of imported gas. By looking at the results of the European Security of Supply Strategy, some of us can also argue that its two-year implementation has not brought the European Commission closer to its political goal to limit gas imports from Russia. According to the recent report of ICIS, Russian gas imports to Europe of 37.9 bcm represented the greatest quarterly total for more than four years and accounted for 55% share of the total, compared to 47% in the first quarter of last year. What is also notable in this regard is that the unprecedented growth of gas imports from Russia was accompanied by similarly unprecedented warm winter in Europe. As the Guardian wrote, "February was the warmest month in recorded history". Let us guess how it would be in a colder-than-usual winter. Why wouldn't the founding fathers of the European Security of Supply Strategy acknowledge that in practice the European gas market is rather reluctantly responsive to external influences such as politically motivated orientation and is committed to respond primarily to the economic interests of population and undertakings in the EU countries?